Congratulations to Lisa A. (@Angloaddict)! You are the winner of For the Good of Mankind? : The Shameful History of Human Medical Experimentation! Please send us a DM on Twitter or an email to publicityinfo@lernerbooks.com with the subject line “Free Book Friday” and tell us your mailing addresses so we can get your book in the mail. 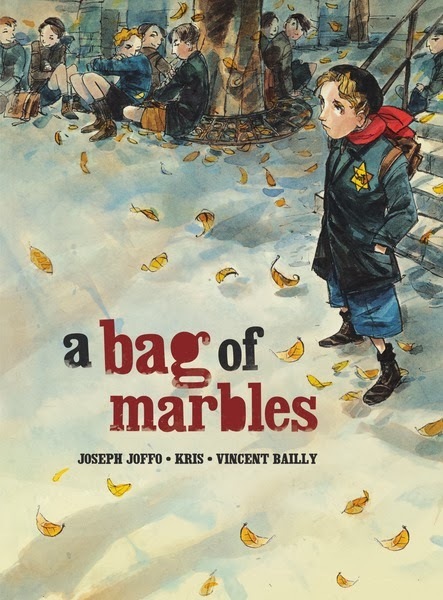 This week we’re going graphic with Graphic Universe and giving away a copy of A Bag of Marbles: The Graphic Novel by Joseph Joffo. In 1941 in occupied Paris, brothers Maurice and Joseph play a last game of marbles before running home to their father’s barbershop. This is the day that will change their lives forever. 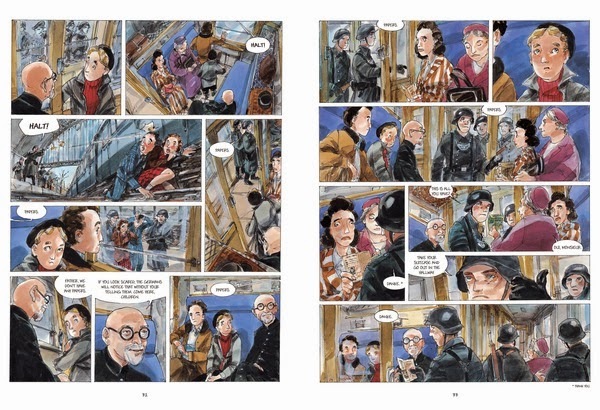 With the German occupation threatening their family’s safety, the boys’ parents decide Maurice and Joseph must disguise themselves and flee to their older brothers in the free zone. Surviving the long journey will take every scrap of ingenuity and courage they can muster. And if they hope to elude the Nazis, they must never, under any circumstances, admit to being Jewish. The boys travel by train, by ferry, and on foot, facing threats from strangers and receiving help from unexpected quarters. Along the way they must adapt to the unfamiliar world beyond their city—and find a way to be true to themselves even as they conceal their identities. Based on an autobiographical novel by Joseph Joffo and adapted with the author’s input, this true story offers a harrowing but inspiring glimpse of a childhood cut short. We’ll announce the winner during Free Book Friday on November 15, so be sure to come back to the Lerner blog to see if you’ve won! I would love to win the book Bag of Marbles! !